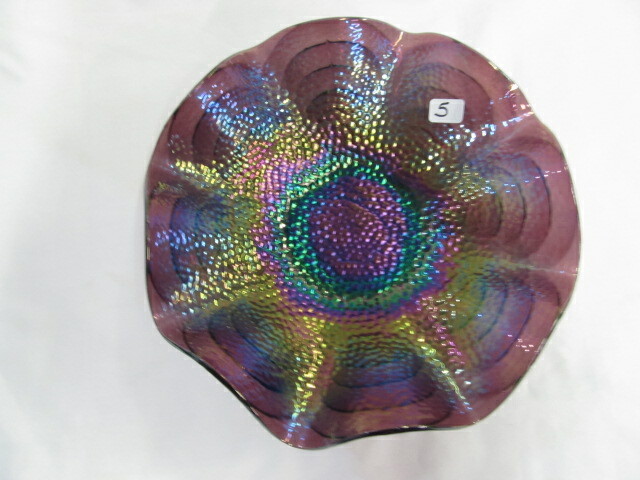 Cobblestones has an overall pattern of small raised dots closely packed together. 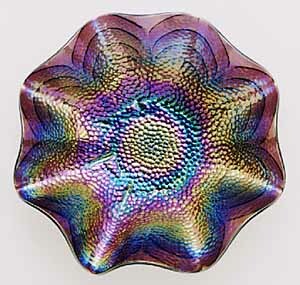 The back pattern is Imperial's Arcs. 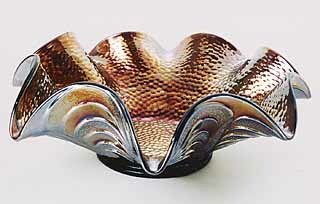 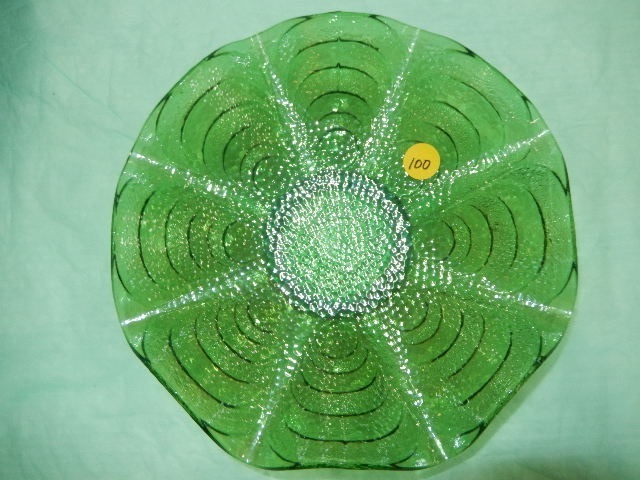 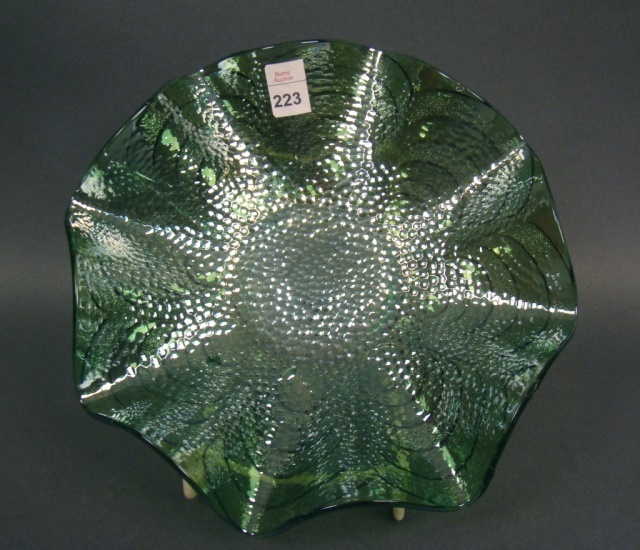 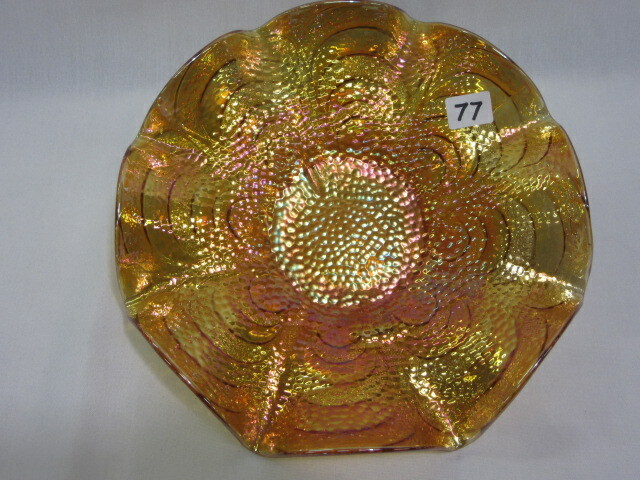 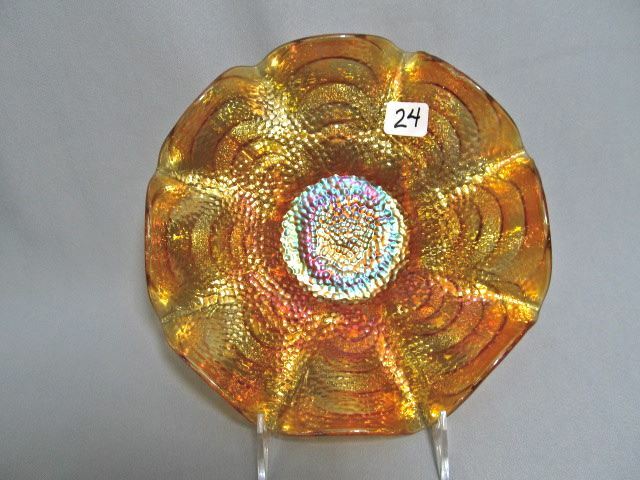 There was only one size mold for the Cobblestones pattern, yielding ruffled bowls about 9 inches across. 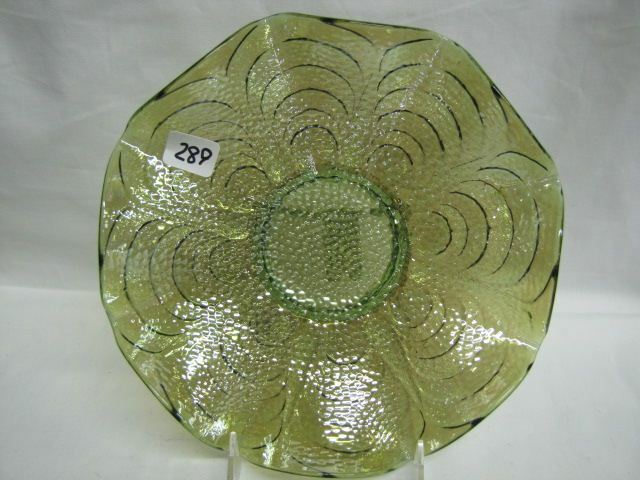 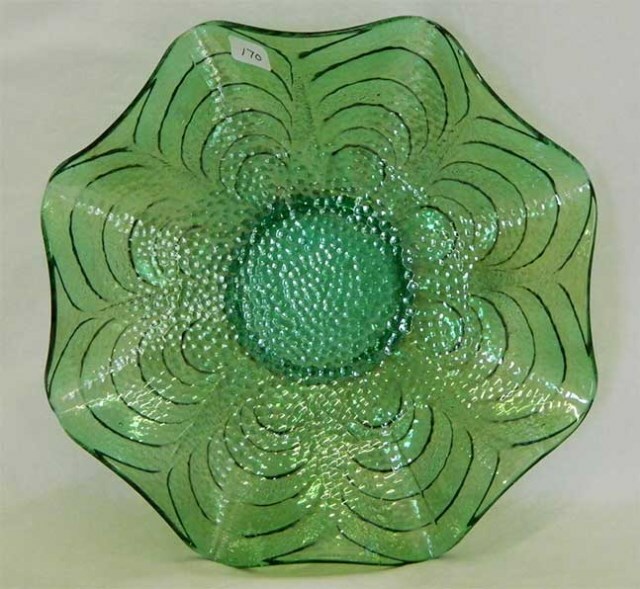 Smaller bowls or sauces with a similar pattern will no doubt be Fenton's Pebbles pattern. 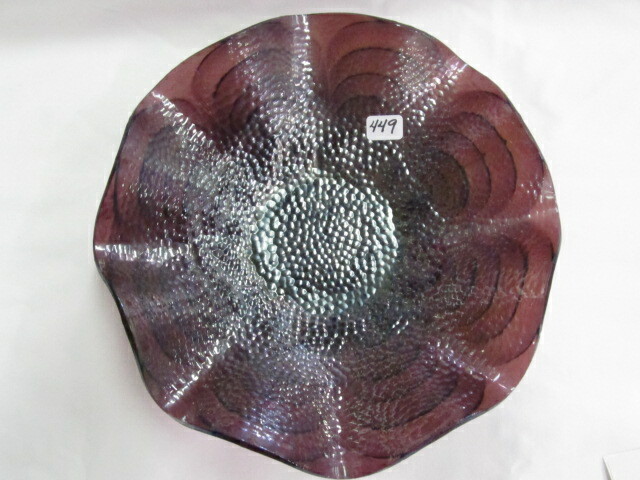 Cobblestones are usually in amethyst/purple. 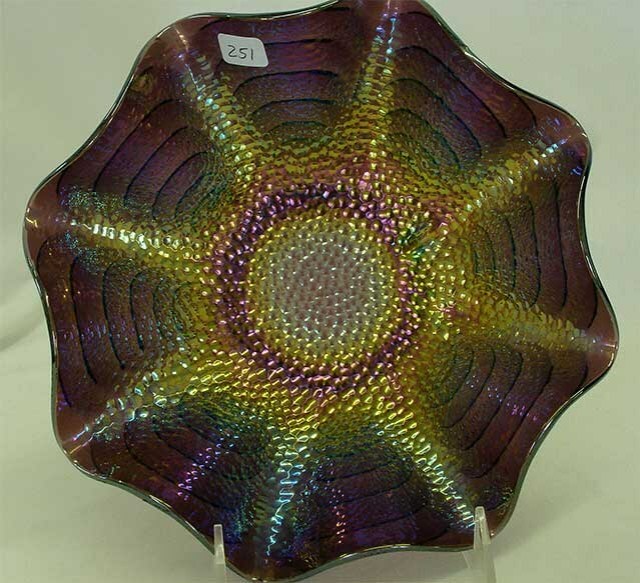 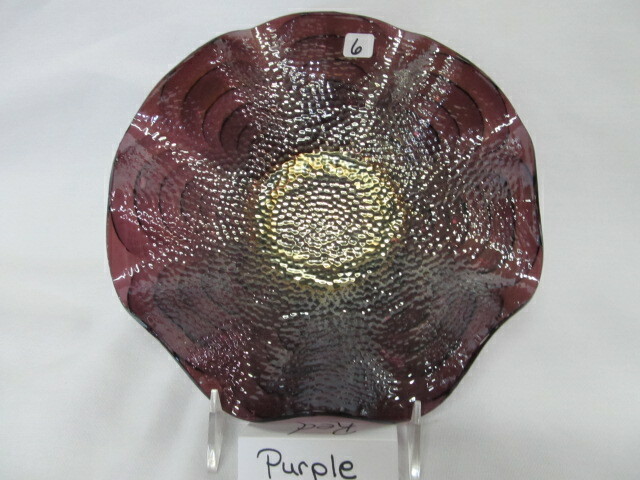 The price range in amethyst/purple is huge, reflecting the wide range of quality of iridescence. 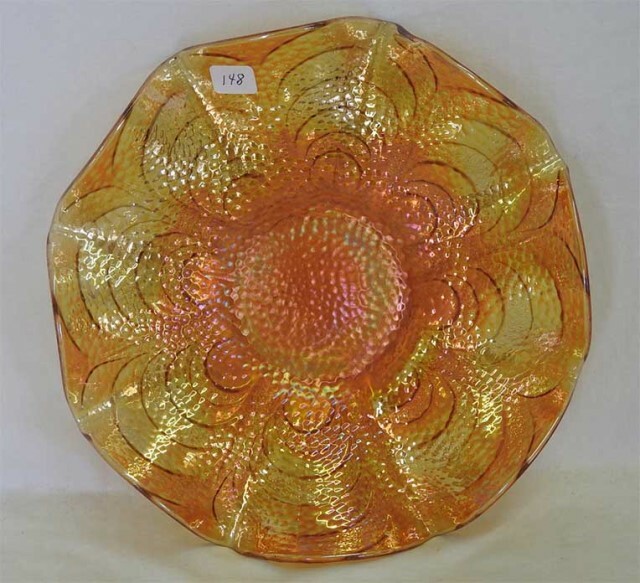 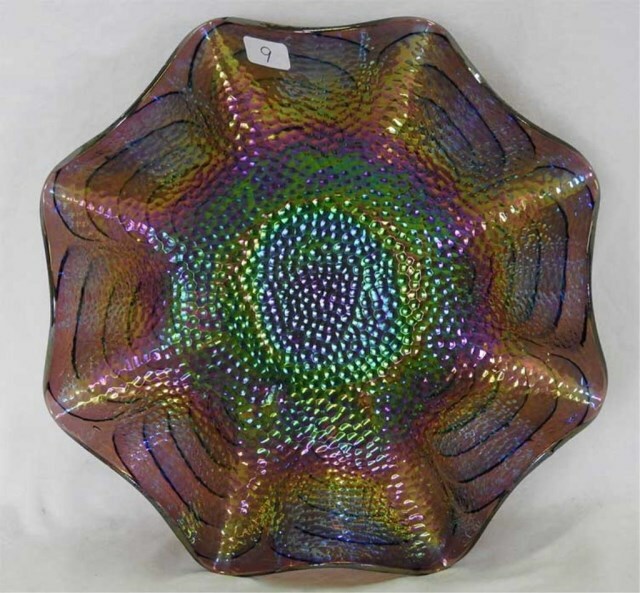 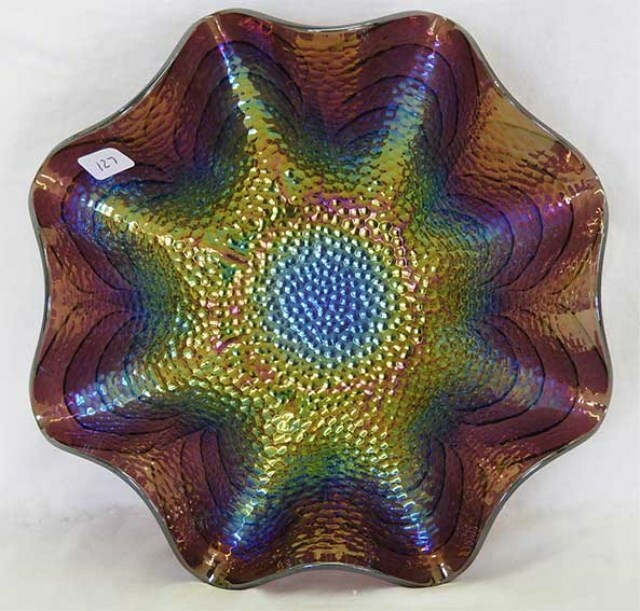 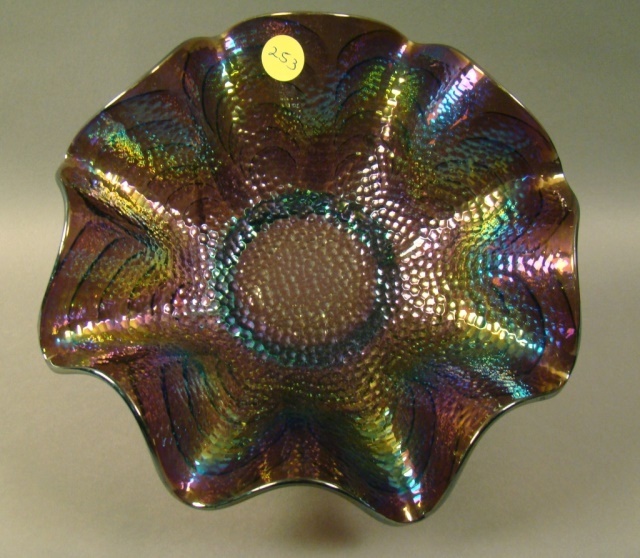 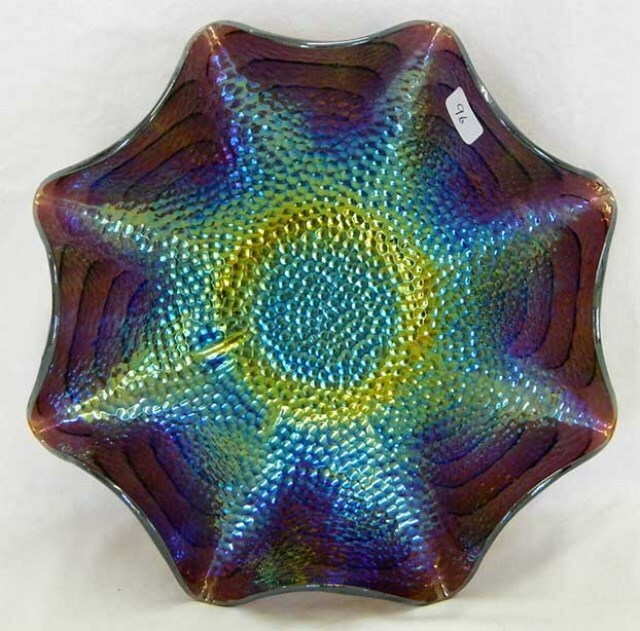 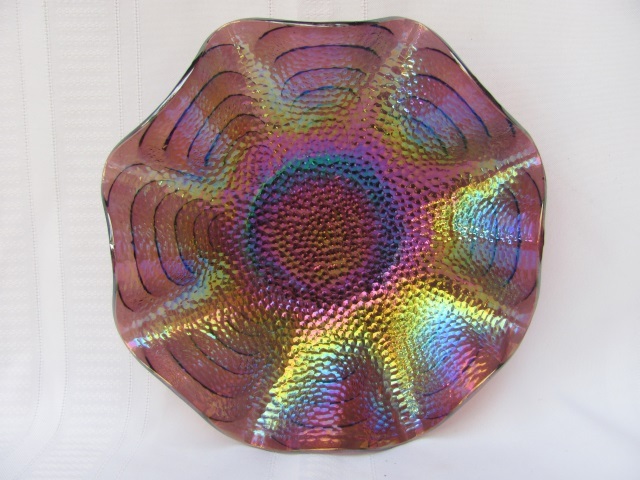 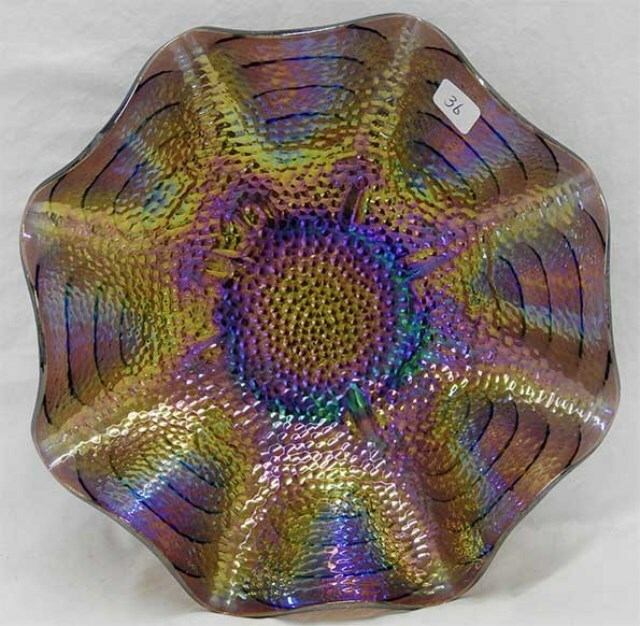 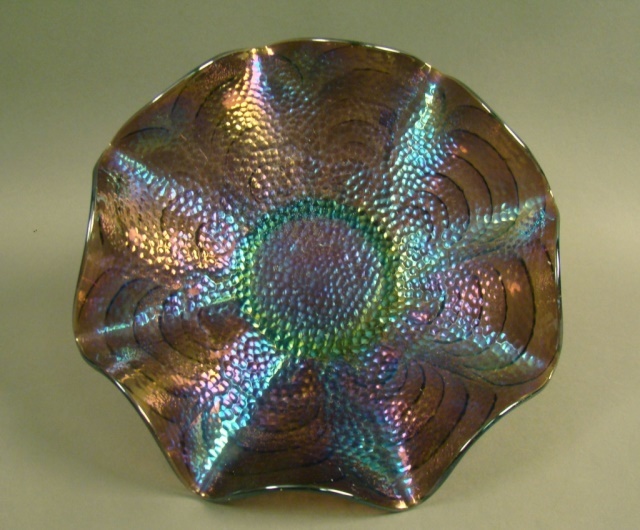 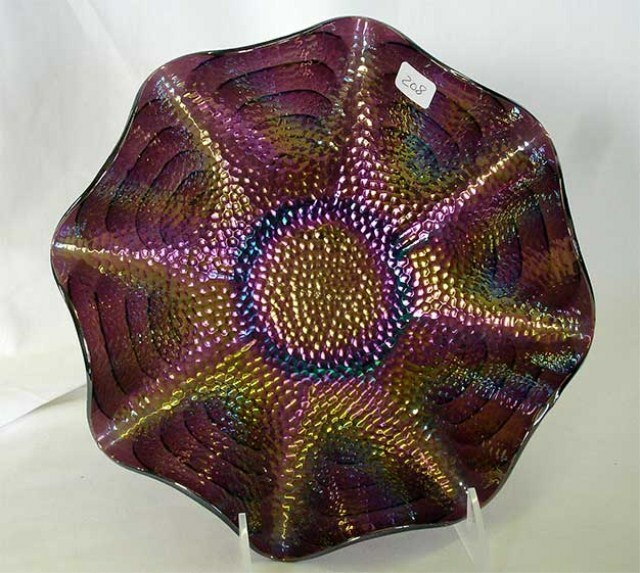 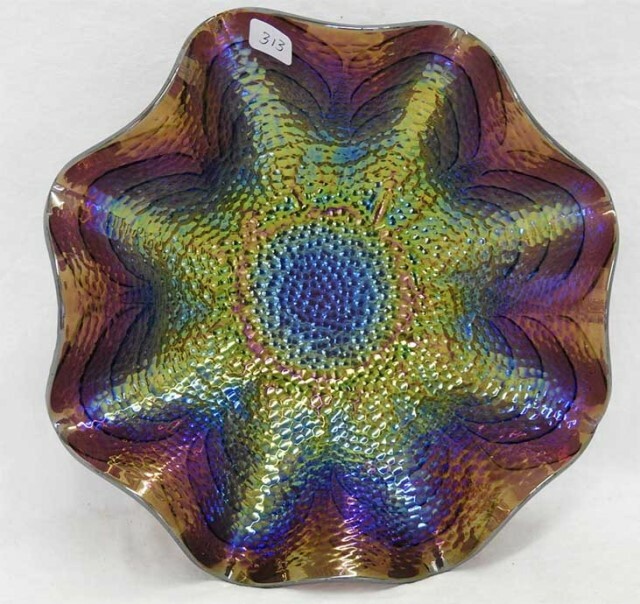 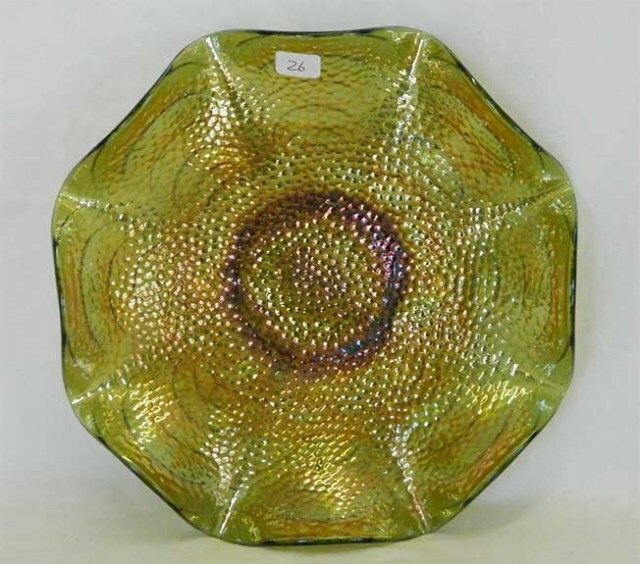 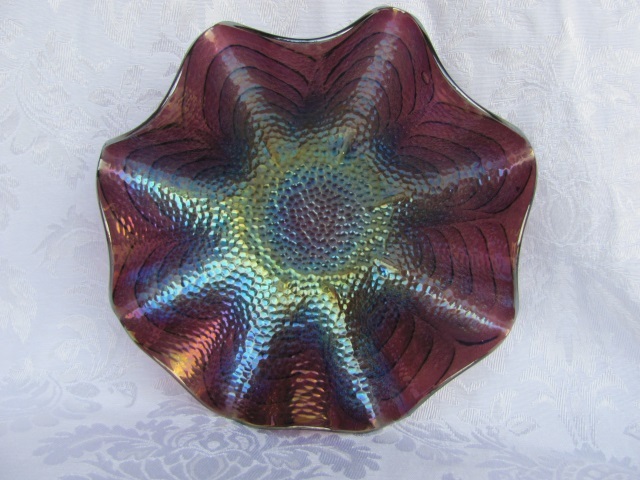 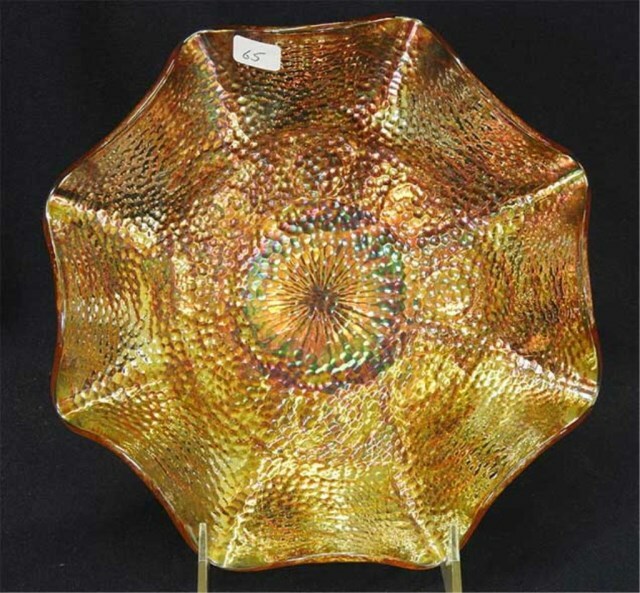 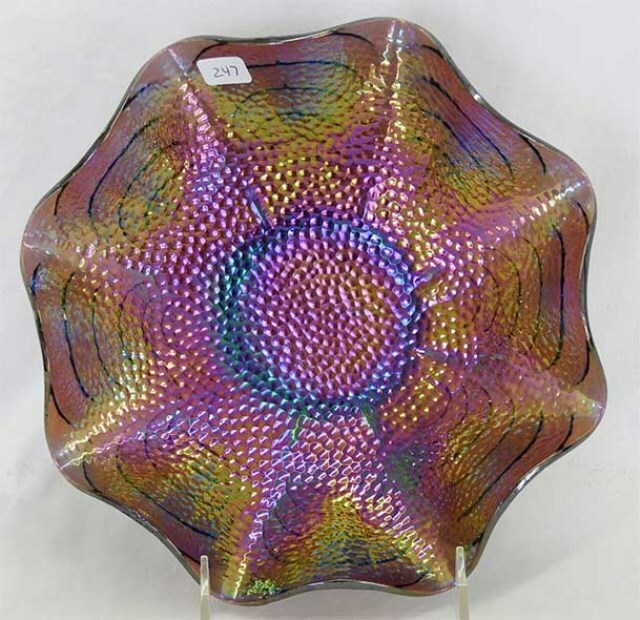 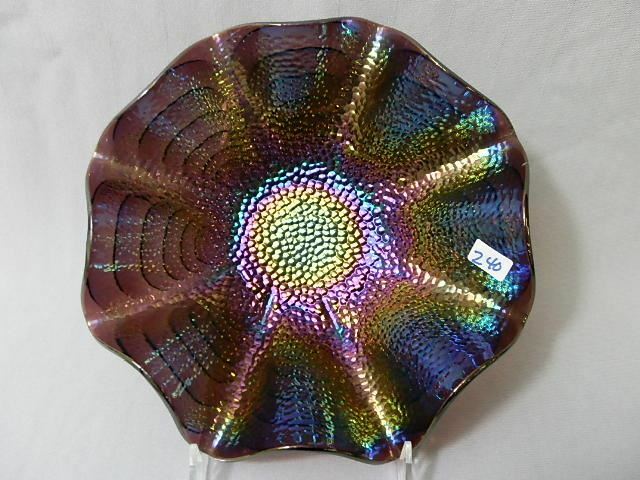 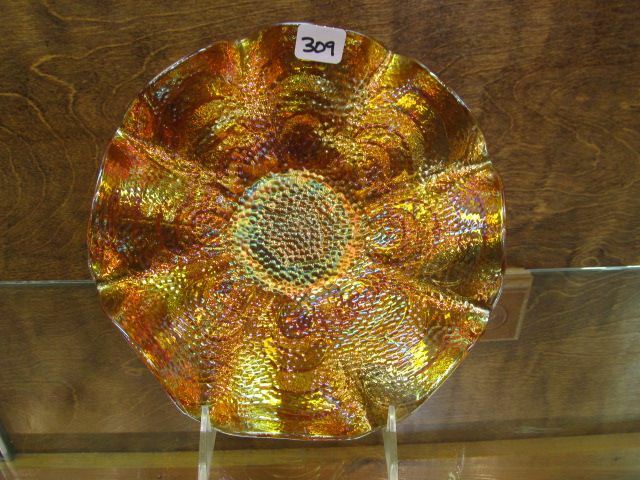 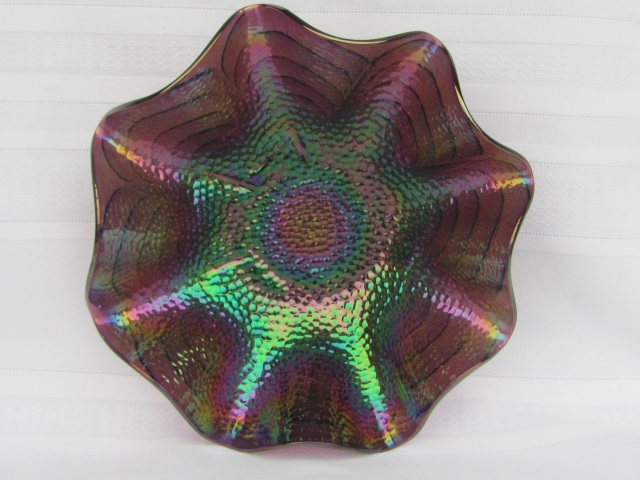 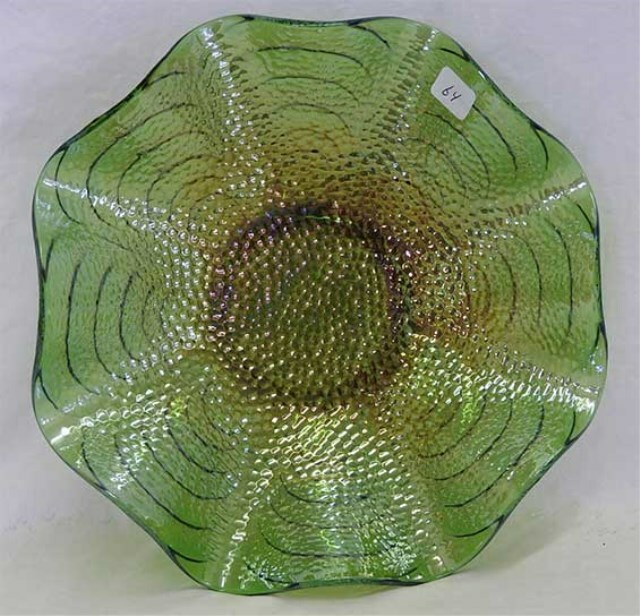 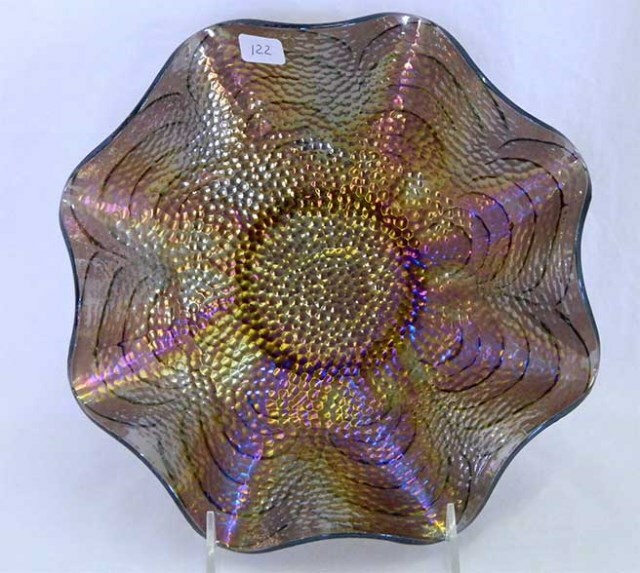 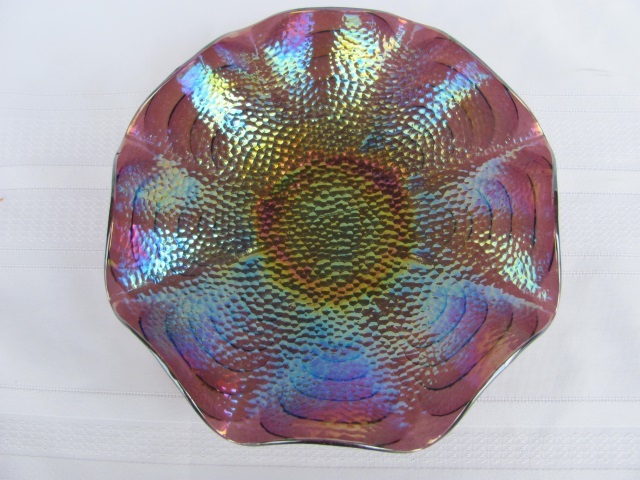 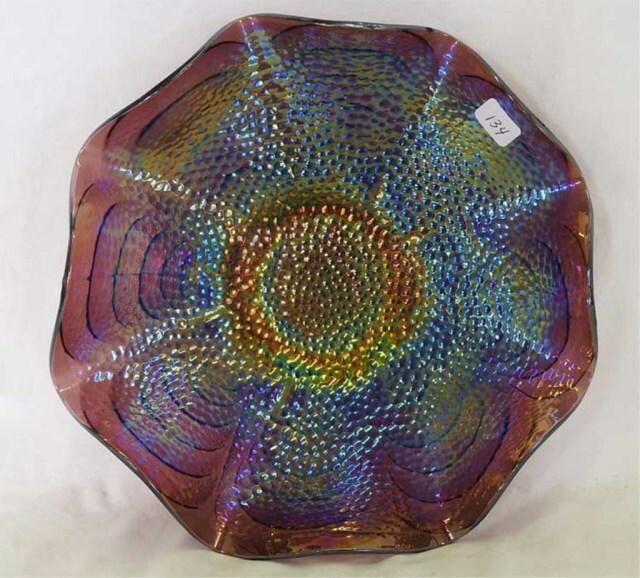 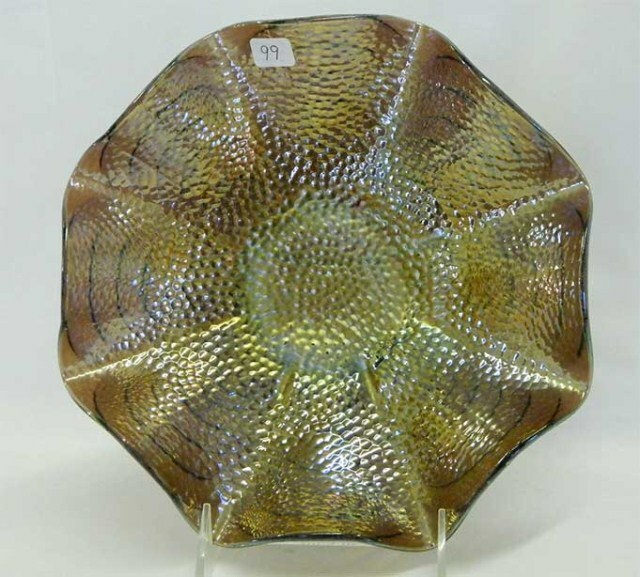 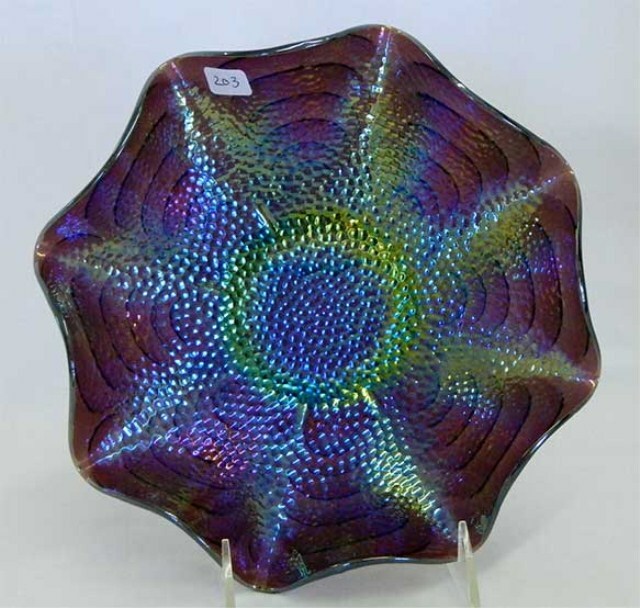 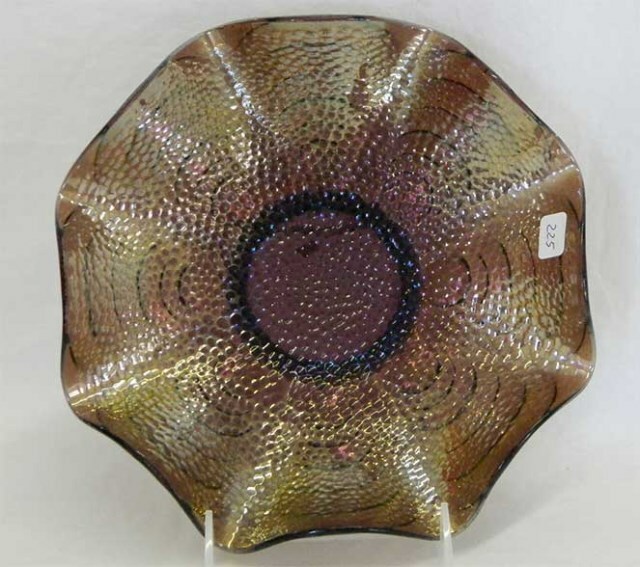 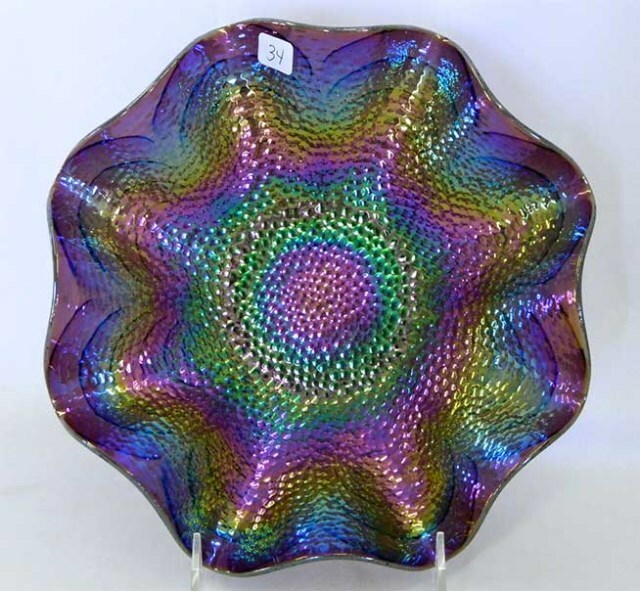 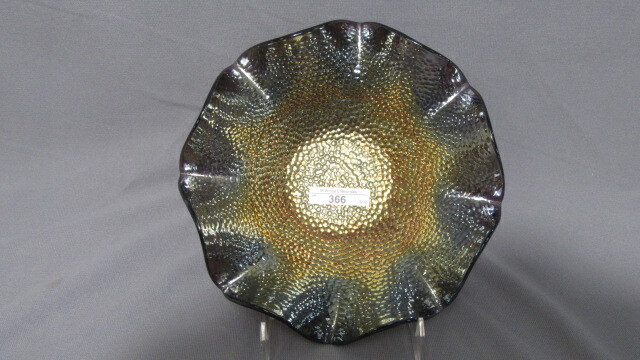 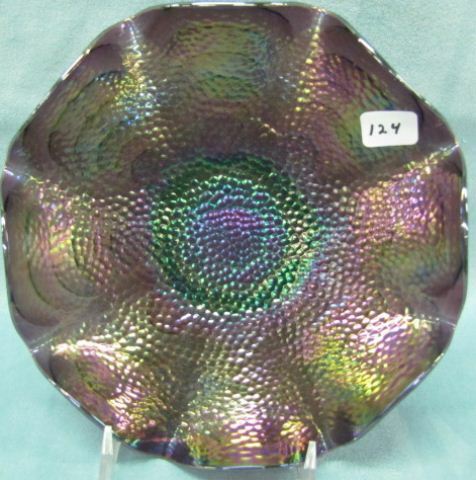 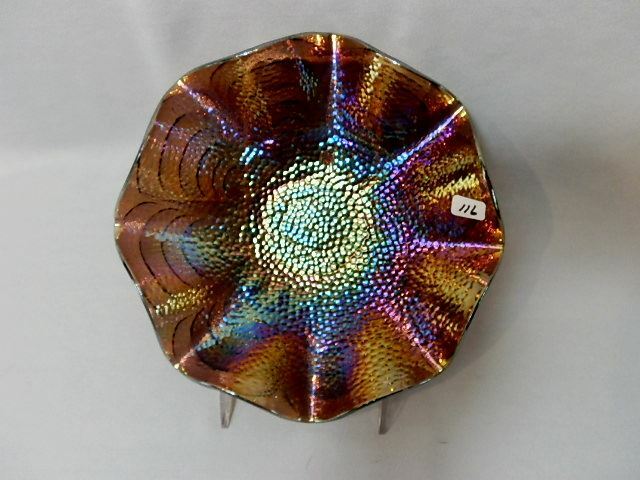 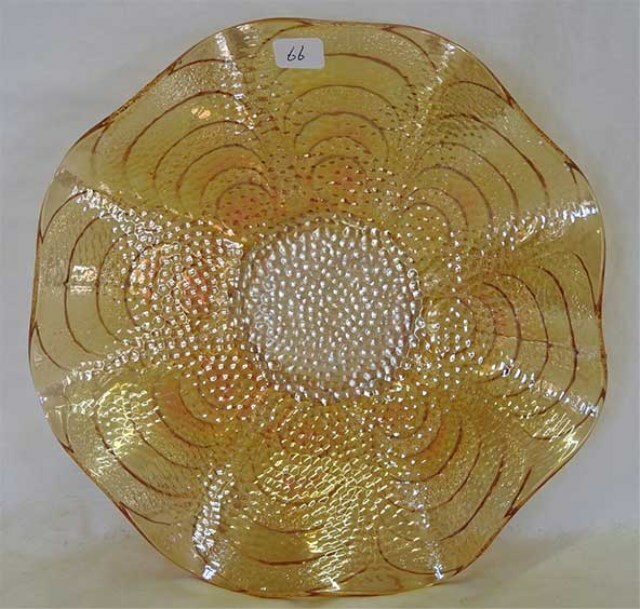 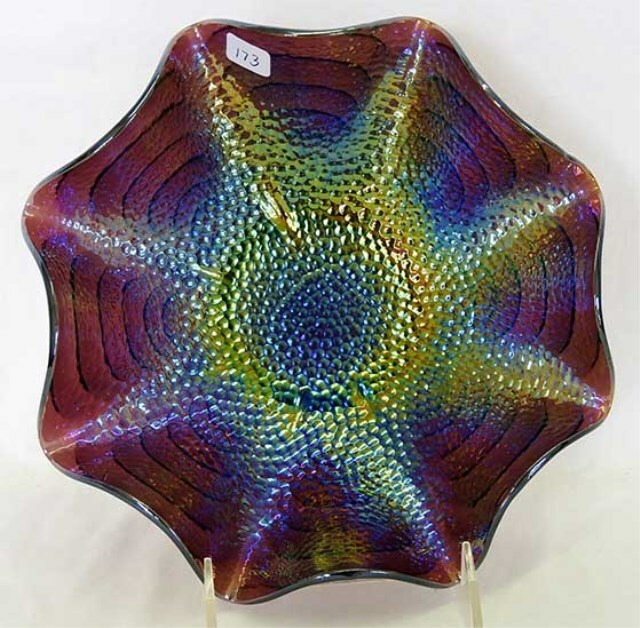 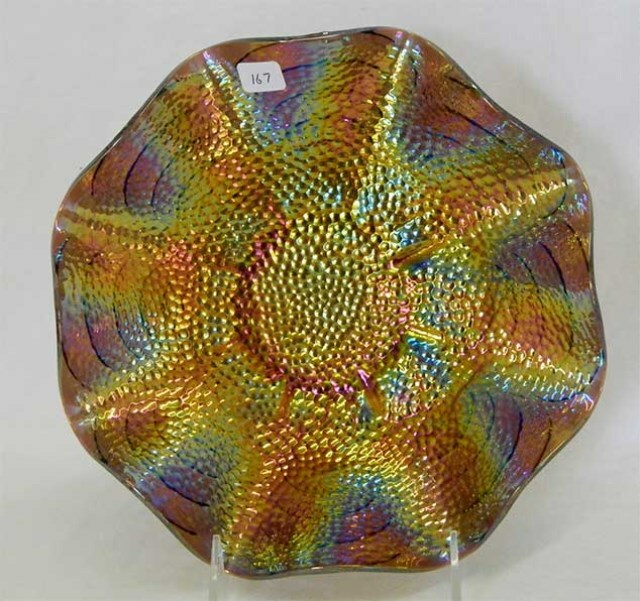 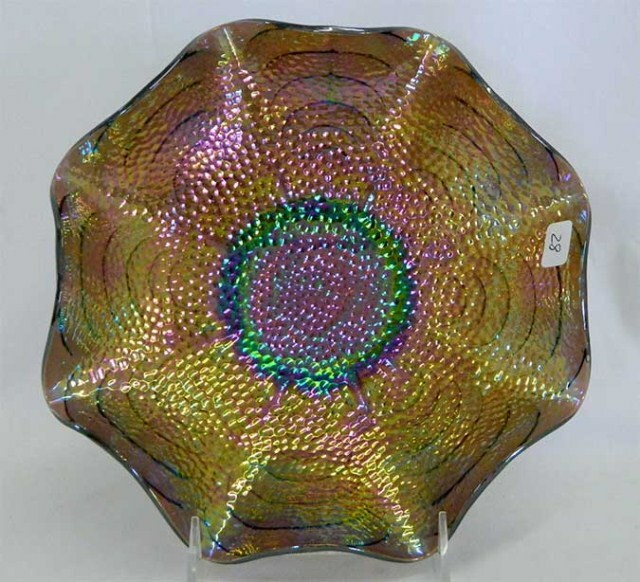 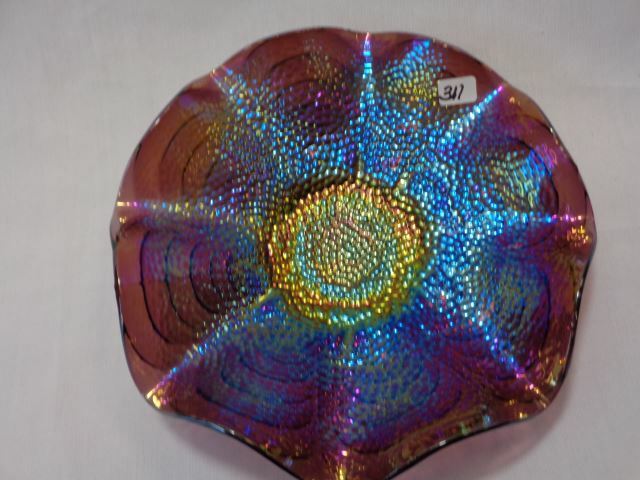 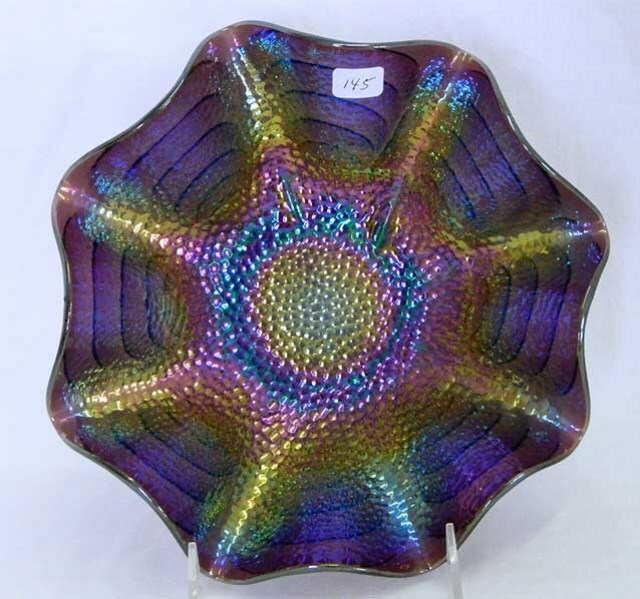 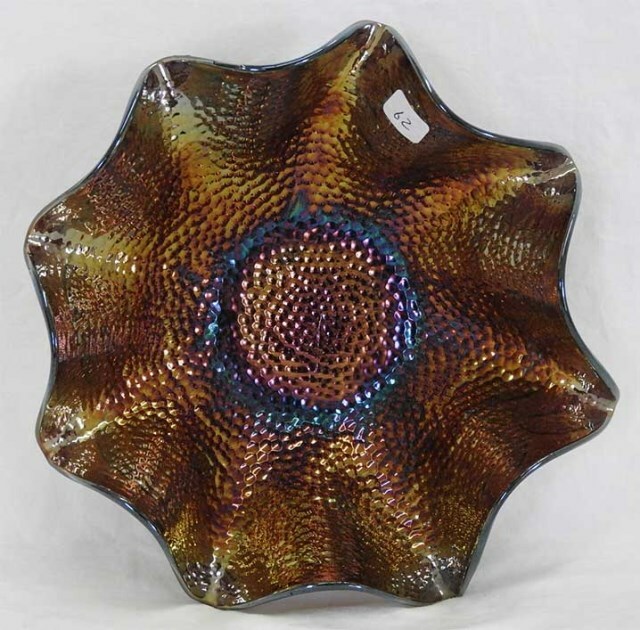 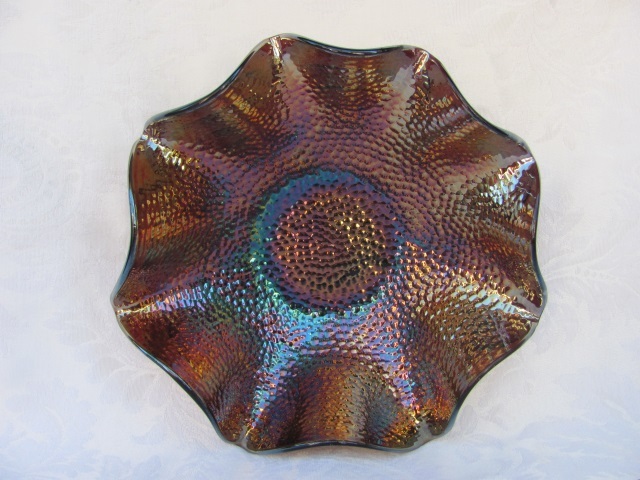 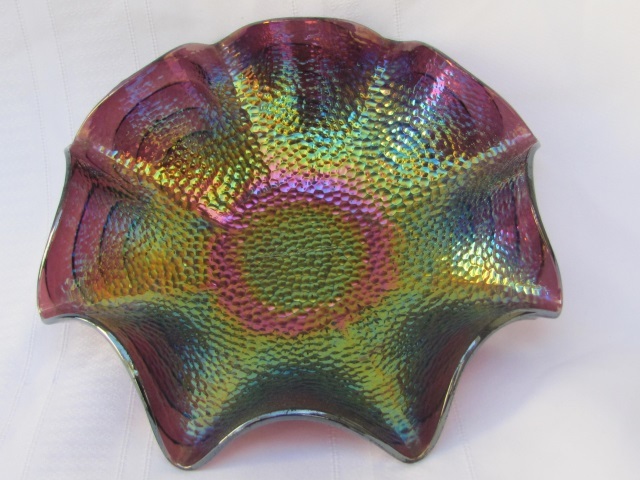 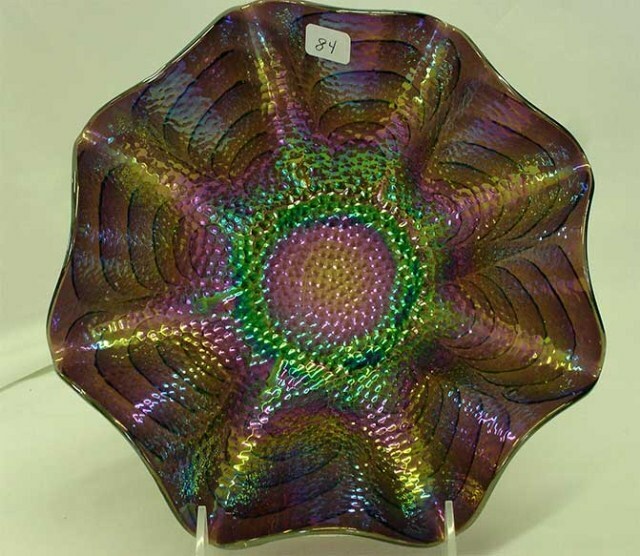 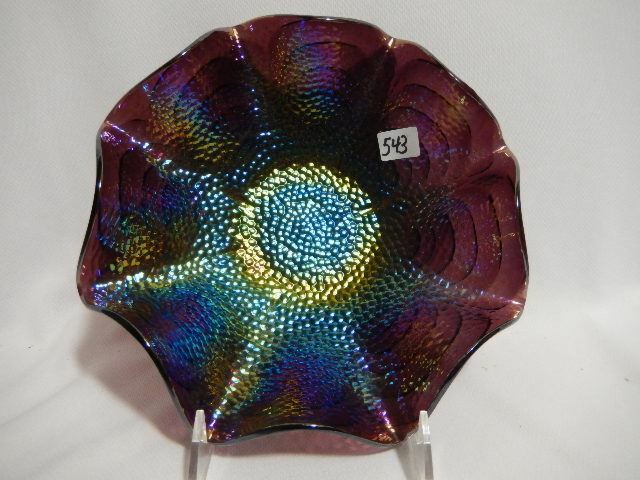 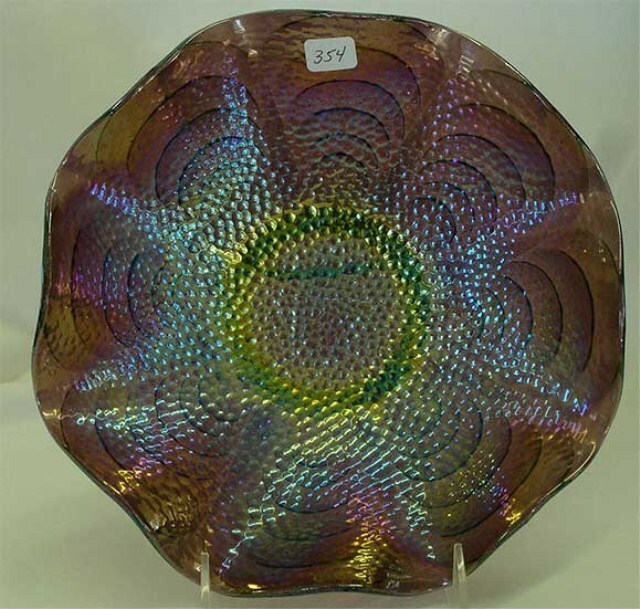 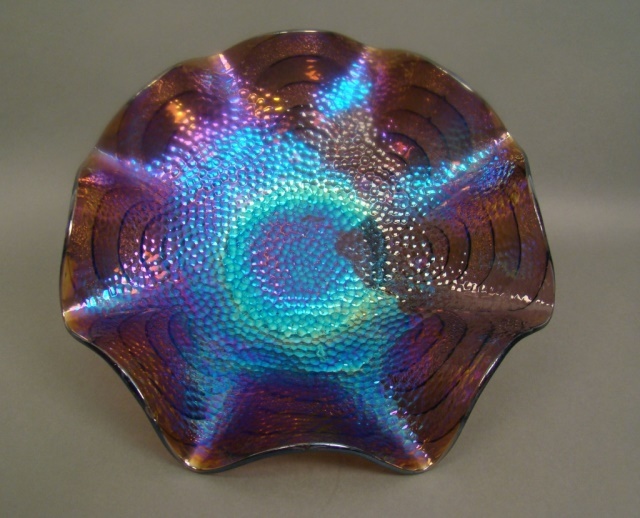 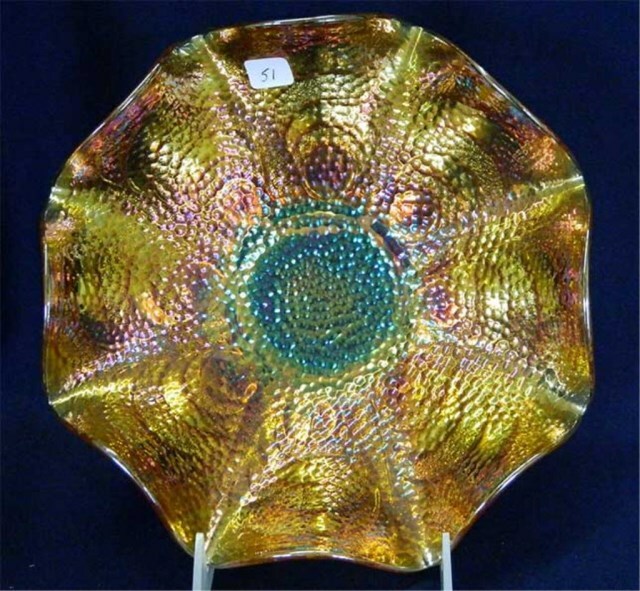 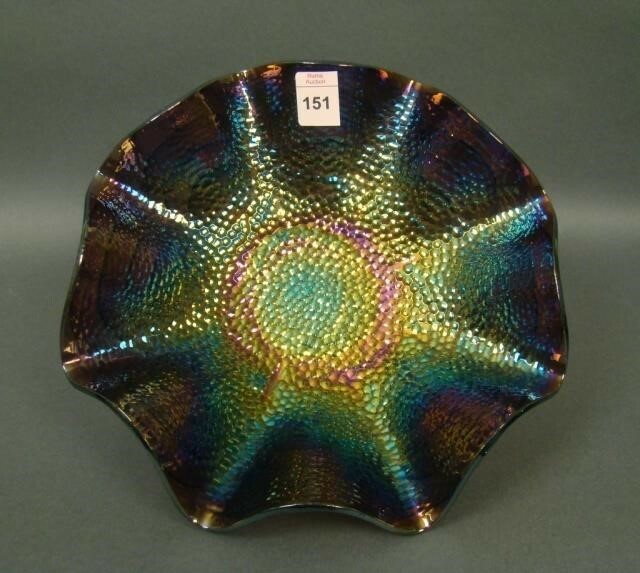 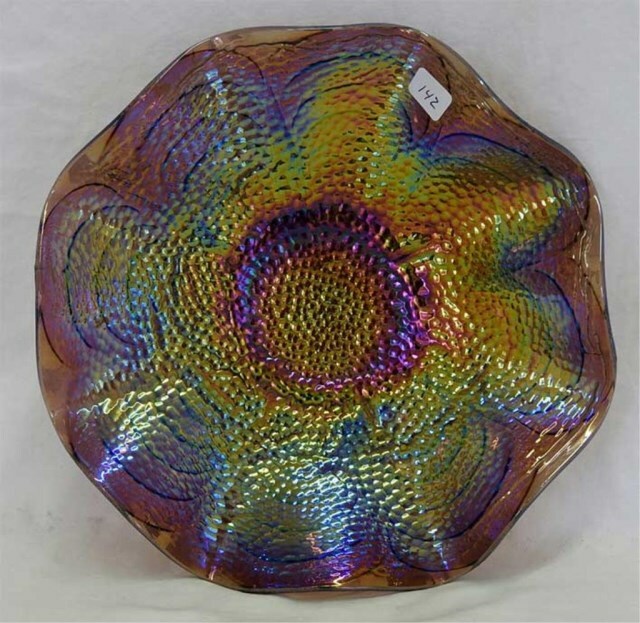 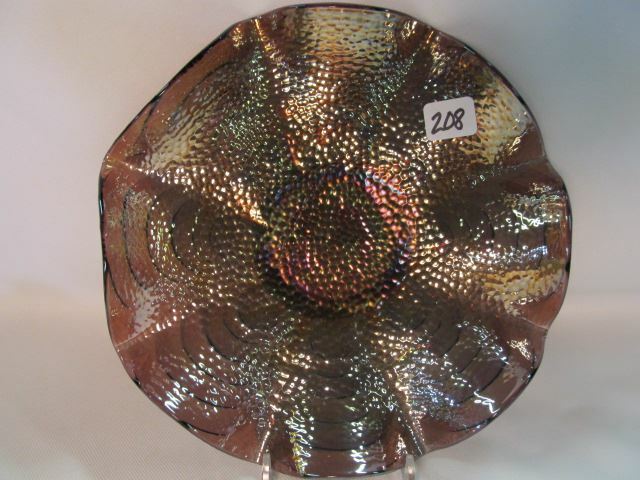 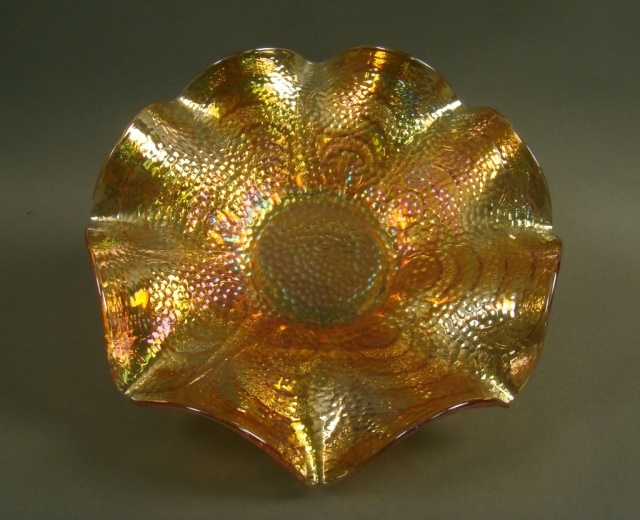 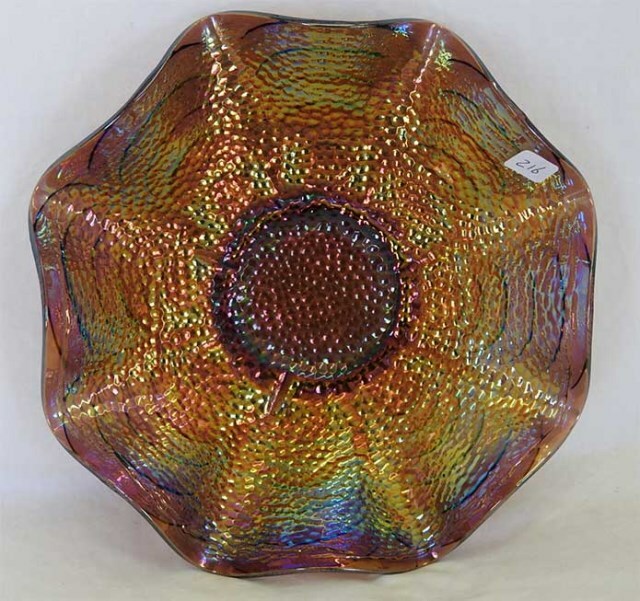 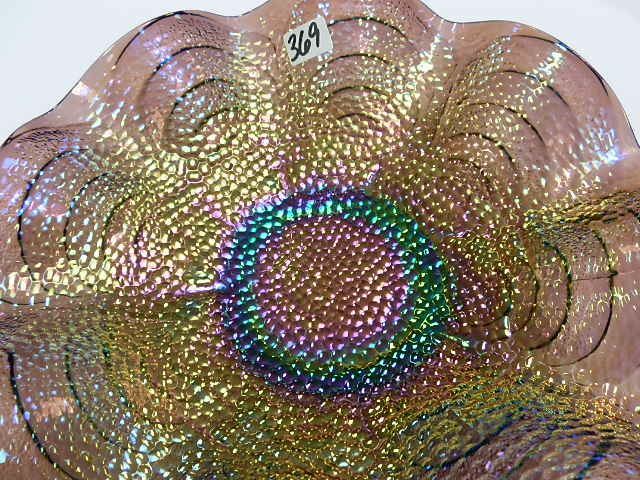 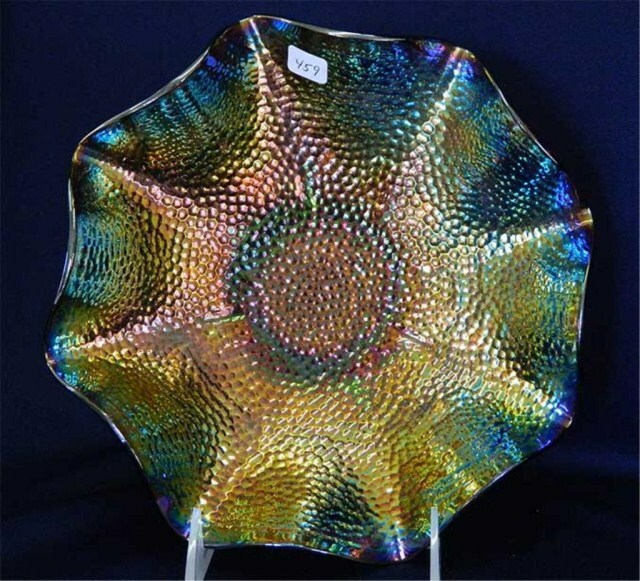 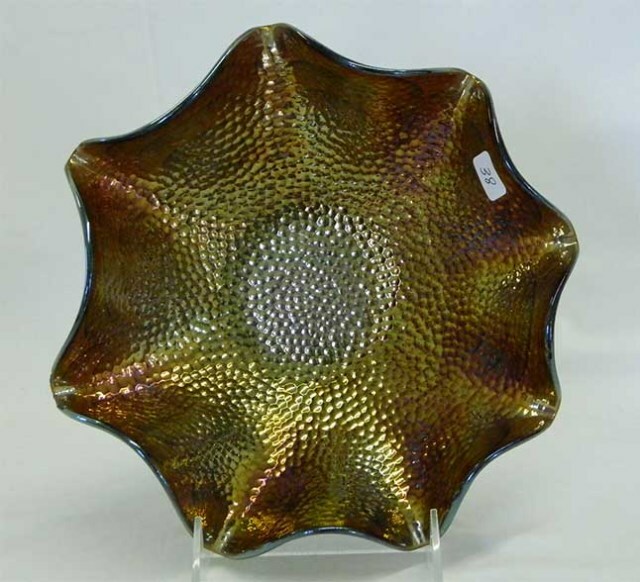 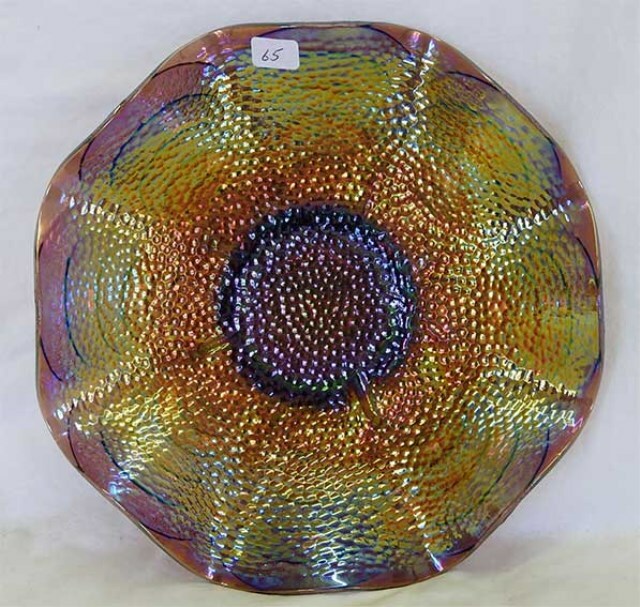 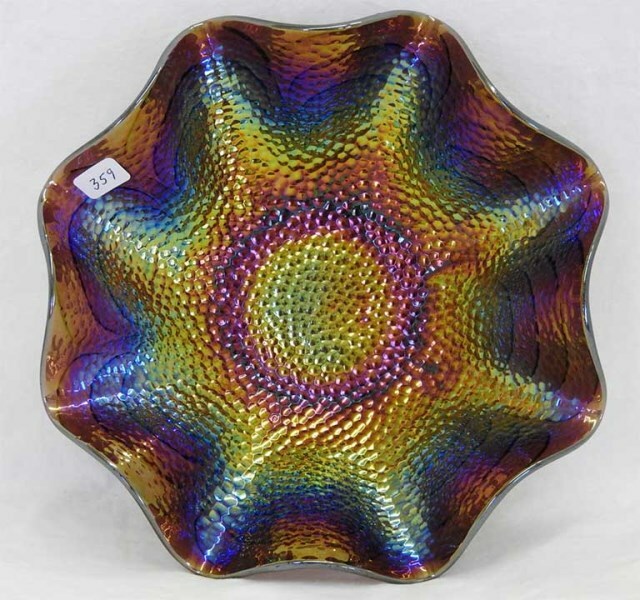 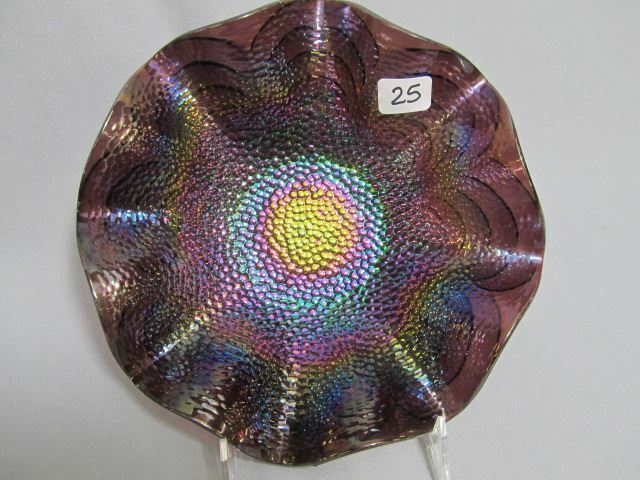 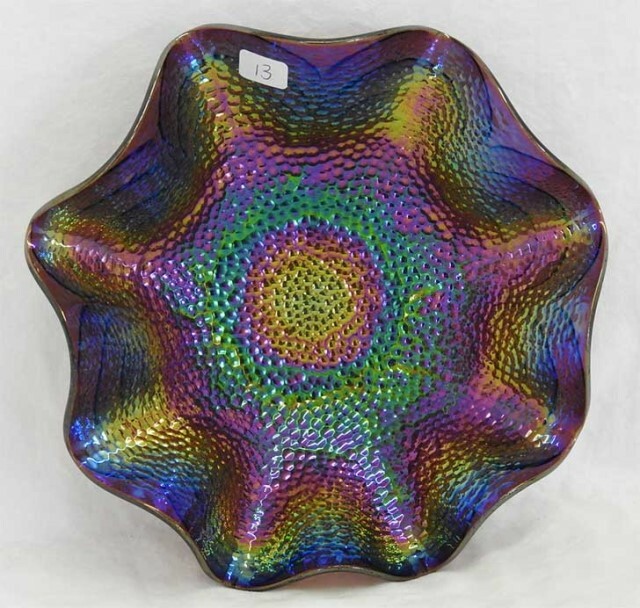 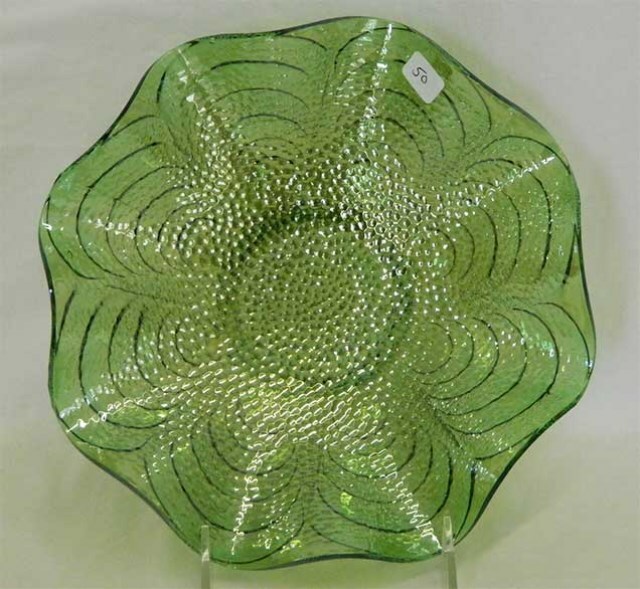 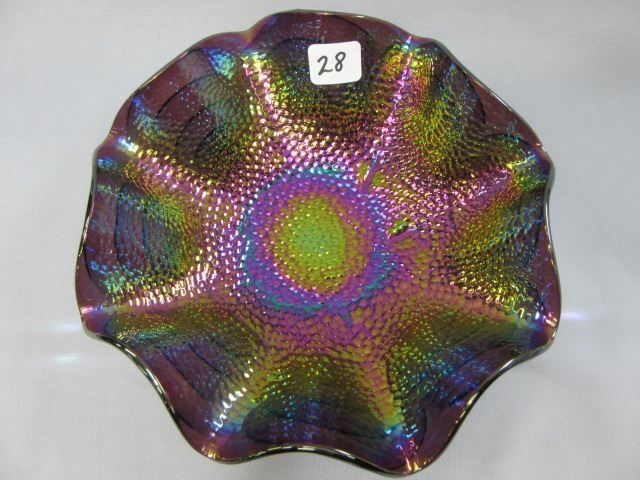 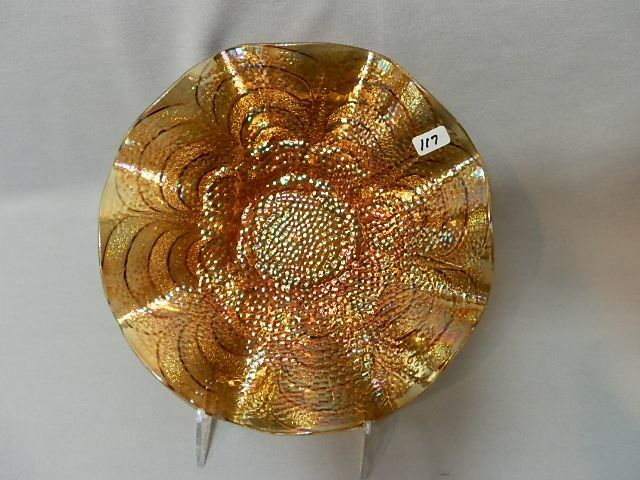 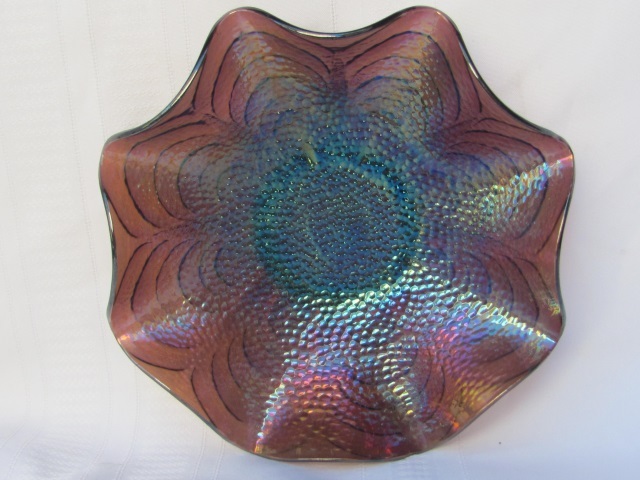 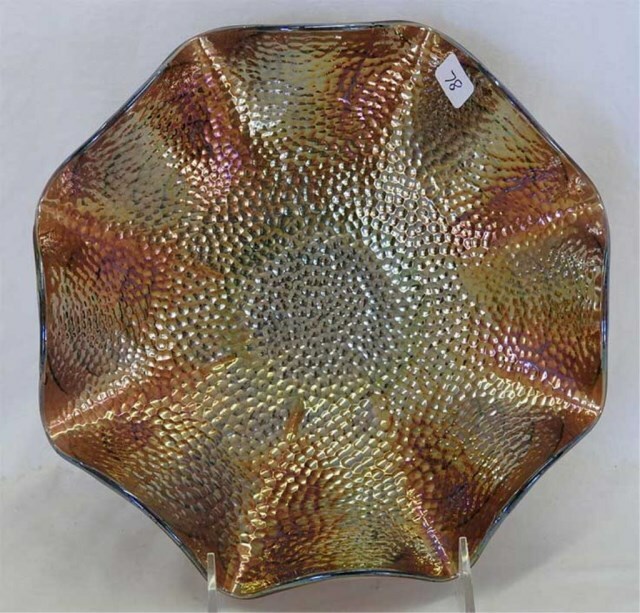 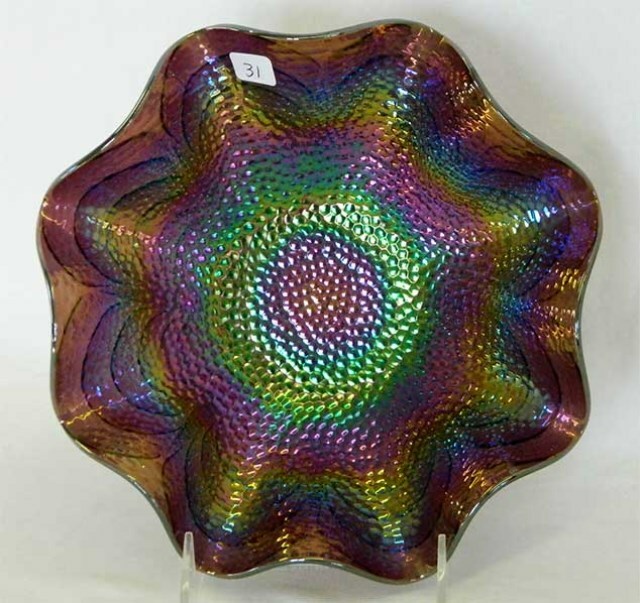 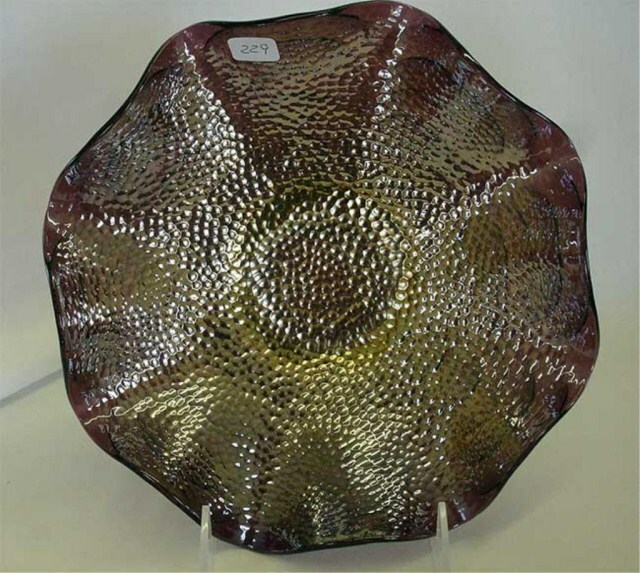 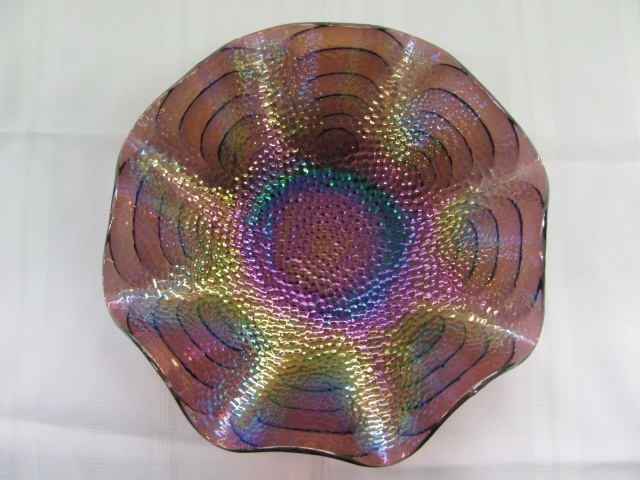 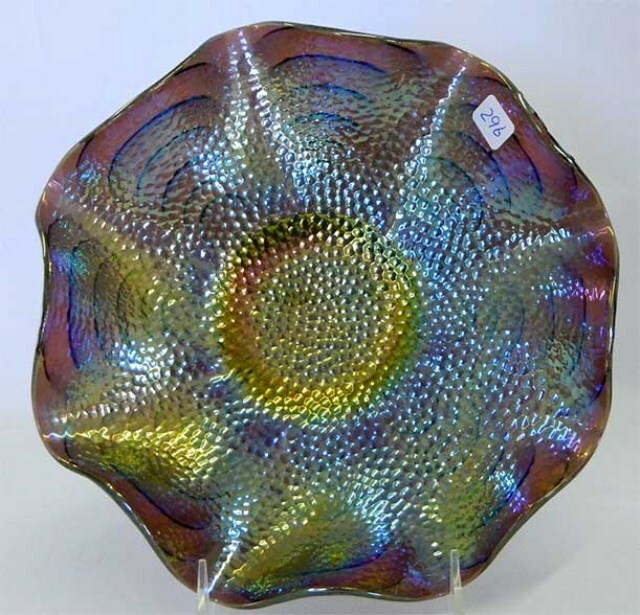 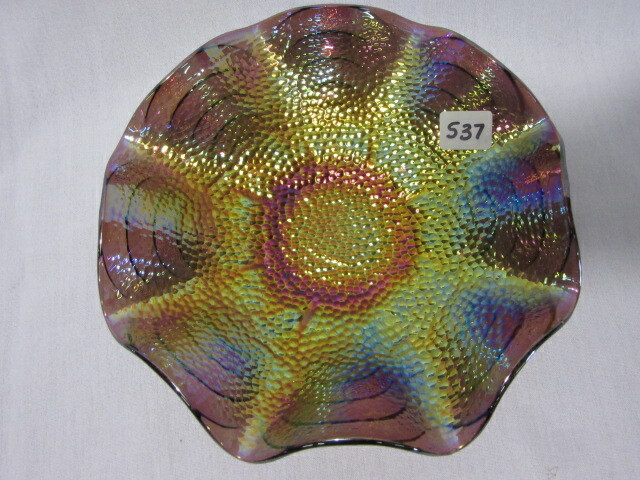 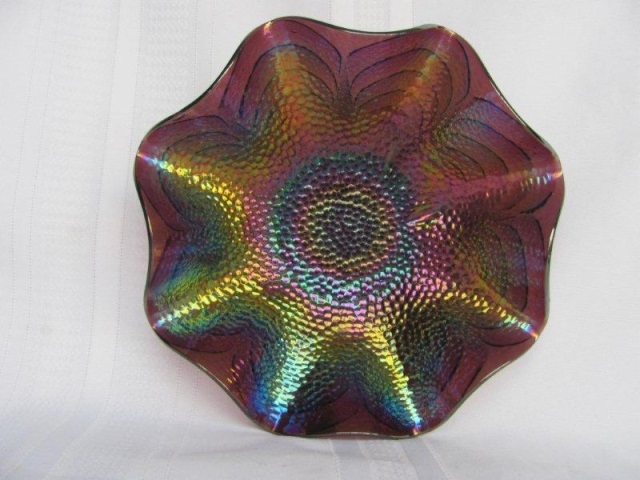 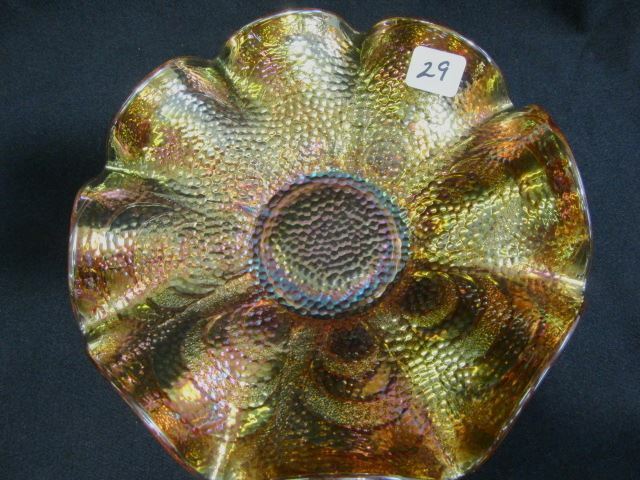 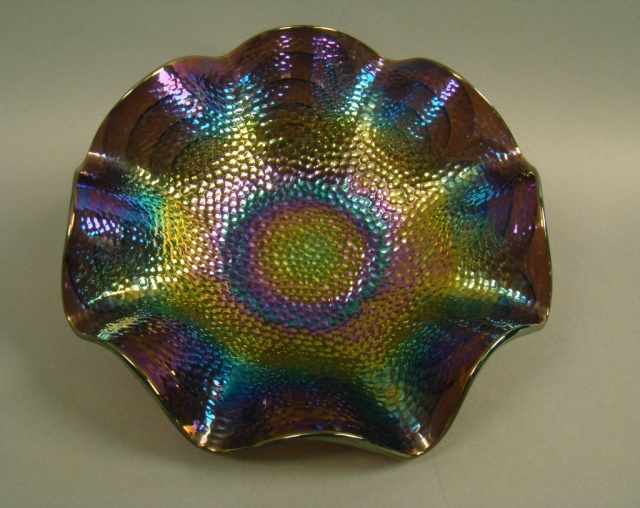 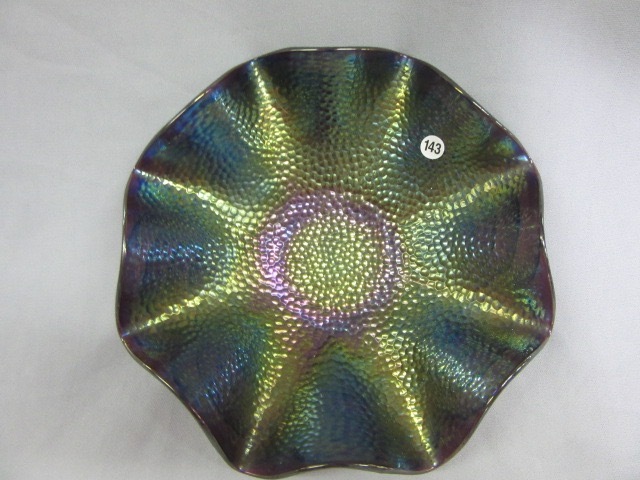 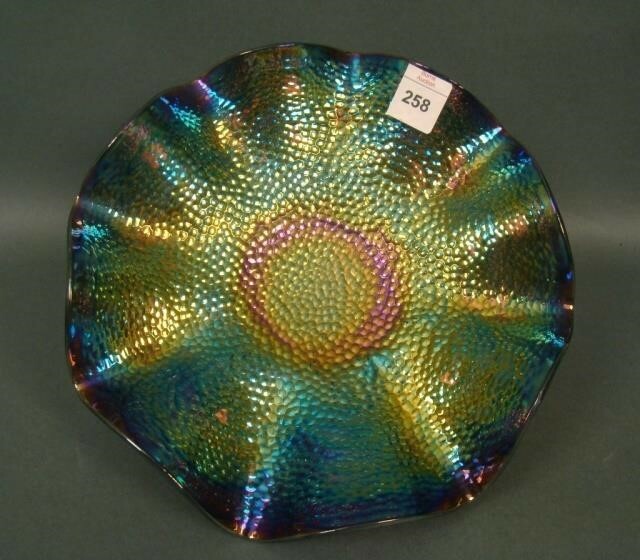 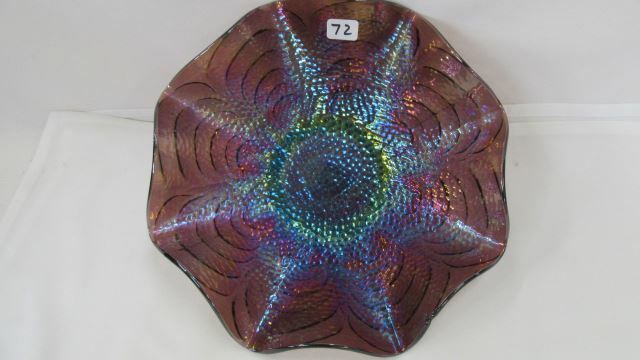 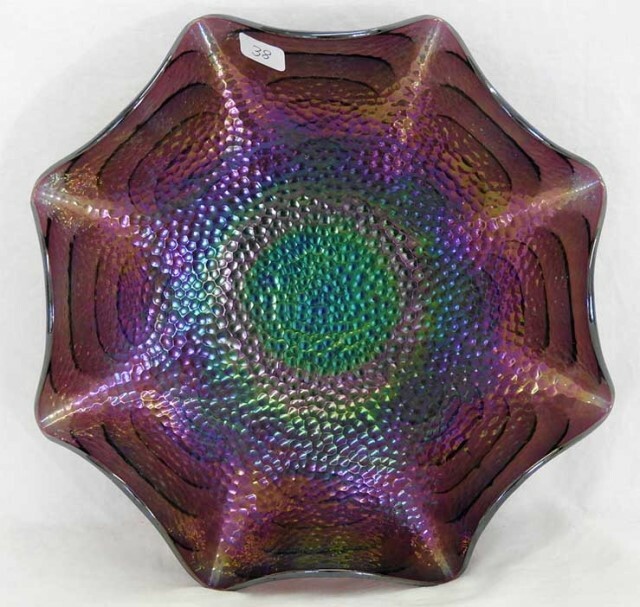 For example, the bowl above left sold for $650, the one in the center for just $75 and has goldish iridescence while the other has terrific multicolor iridescence. 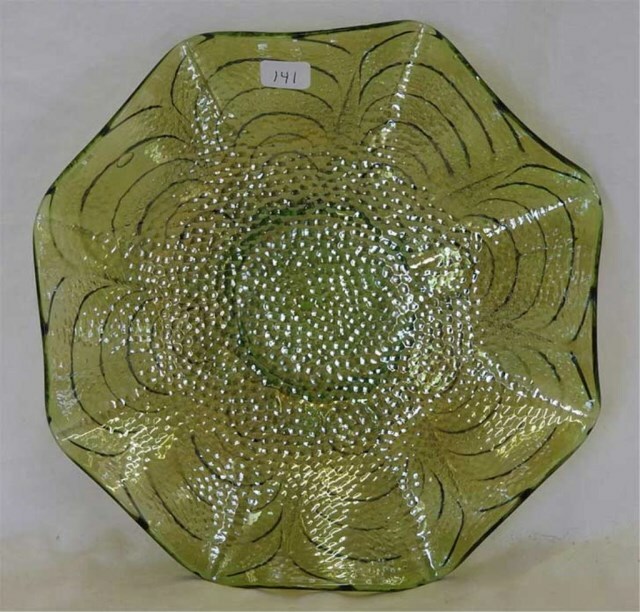 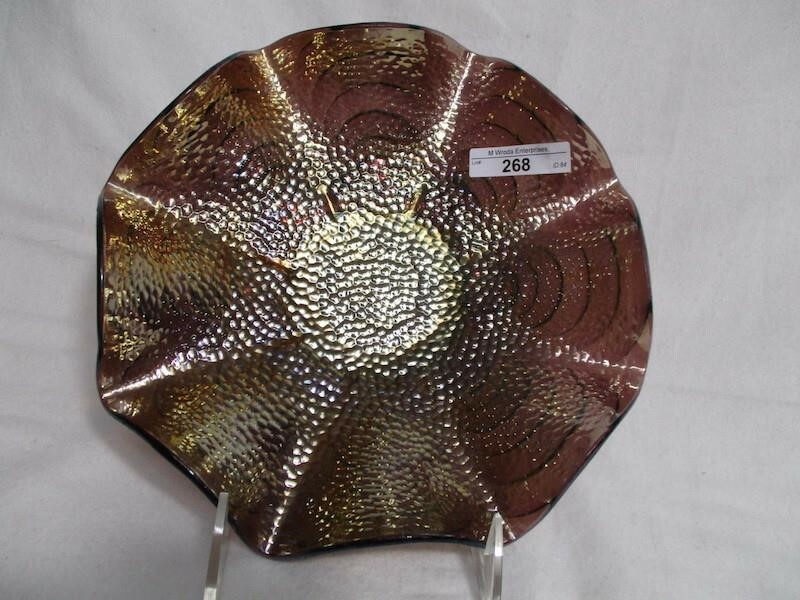 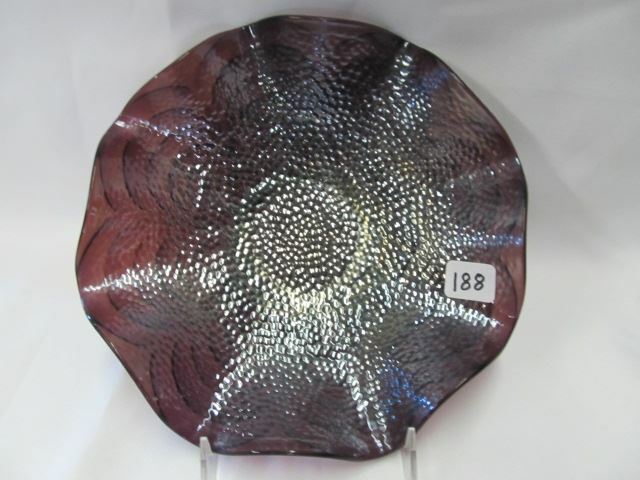 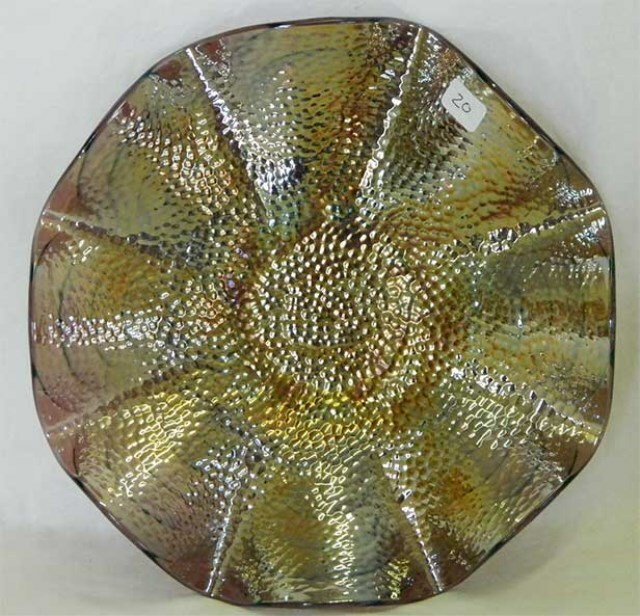 Pictured on the right, this is the only known plate in the Cobblestones pattern–large enough to be called a chop plate. 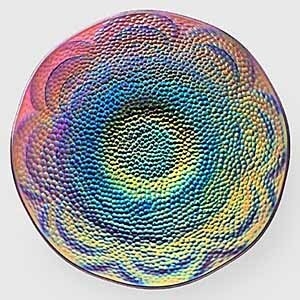 Note the Arcs pattern that shows through.